Successfully Added K3 Android TV Box - 4K Decoding, 2K Output, Amlogic S905 Quad Core CPU, HDMI 2.0, Bluetooth 4.0, H.265 Encoding to your Shopping Cart. The The K3 Android TV Box sports a powerful Amlogic S905 Quad Core CPU and Mali-450 8-Core GPU, so you will enjoy your TV box’s smooth operation and amazing gameplay. With HDMI 2.0, Bluetooth 4.0 and Wi-Fi, the TV box features great wired and wireless connectivity. A great feature is that it comes with Kodi 16.1 pre-installed, giving you access to loads of free content from various repositories. 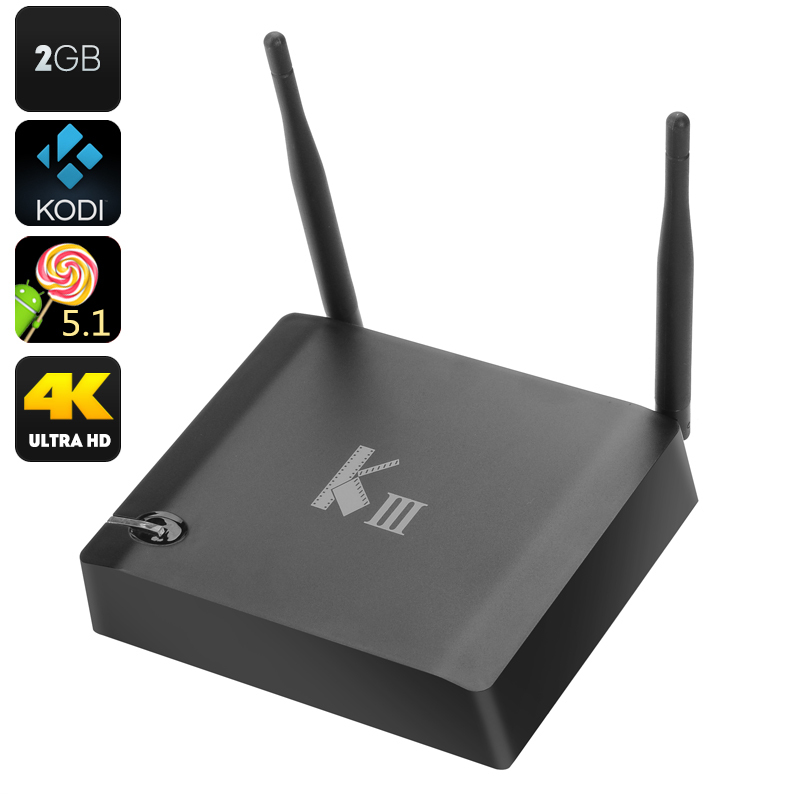 The K3 Android TV Box comes with a 12 months warranty, brought to you by the leader in electronic devices as well as wholesale Android TV boxes..